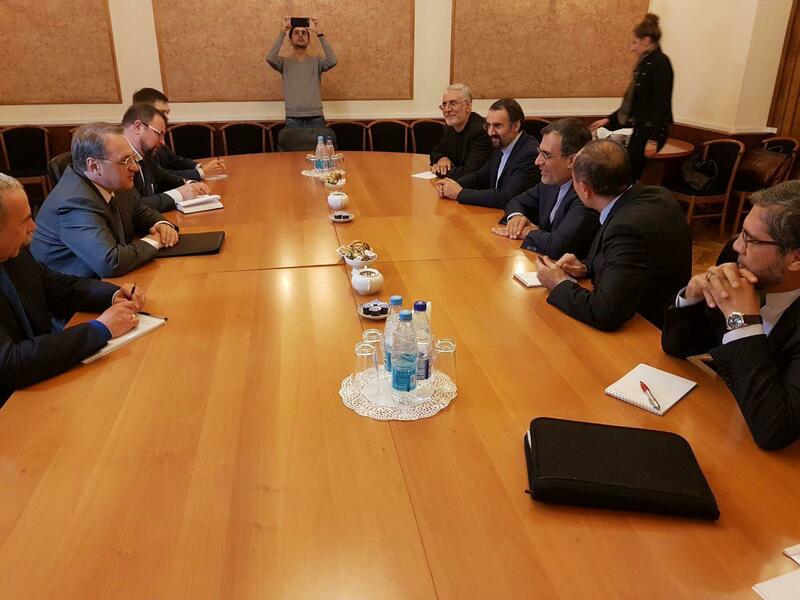 Iranian Deputy Foreign Minister for Arab and African Affairs Hossein Jaberi Ansari has held talks with several Russian officials on the latest regional developments in Moscow. Jaberi Ansari on Tuesday conferred with Russian Deputy Defence Minister Alexander Fomin and Russian President Vladimir Putin’s special envoy for Syrian Affairs, Alexander Lavrentiev, on the Syria crisis and ways to end the conflict in the Arab country. 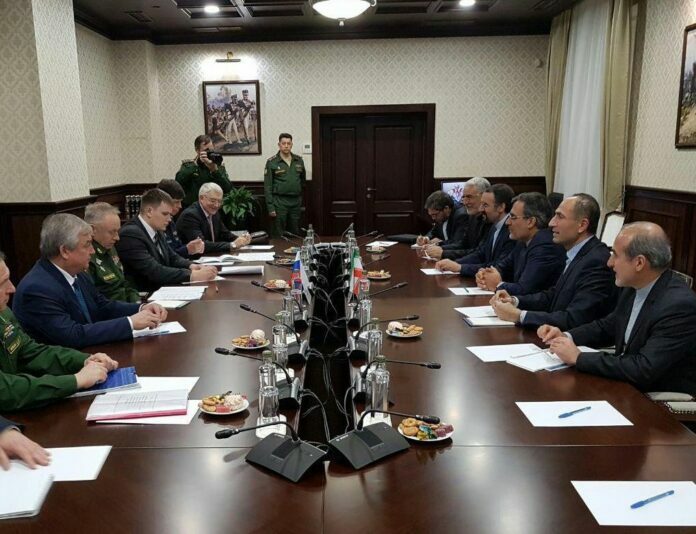 During the meeting, which was held at the Russian Defence Ministry, they also talked about the latest efforts and initiatives of the three guarantor states of Astana Process – Iran, Russia, and Turkey – to de-escalate the ongoing tension and resolve the Syria crisis. Earlier in the day, Jaberi Ansari also met his Russian counterpart Mikhail Bogdanov. During the meeting, the head of Iran’s delegation to Astana Talks and the Russian official, who is Putin’s special representative for the Middle East, discussed the latest developments in the region and the cooperation between the two countries to resolve the Syrian crisis. Diplomatic efforts to end fighting in Syria gained momentum in 2017 with the announcement of a ceasefire in the Arab country in early January. Iran, Russia, and Turkey have initiated a series of peace talks, known as Astana Process, to end more than six years of war in Syria. The 7th round of the peace talks began in the Kazakh capital of Astana on October 30. The fourth round of the talks in May produced a memorandum of understanding on de-escalation zones in Syria, sharply reducing fighting in the country. During the sixth round of Astana talks in September, Iran, Russia and Turkey agreed on a deal to establish and patrol a de-escalation zone in Syria’s northern Idlib province. In early October, Turkey deployed tanks and military vehicles on its Syrian border, building up military presence in Idlib. According to a report by the Syrian Centre for Policy Research, the conflict has claimed the lives of over 470,000 people, injured 1.9 million others, and displaced nearly half of the country’s pre-war population of about 23 million within or beyond its borders.